Regardless of your age, health condition, or gender, what you eat matters. Nutritional counseling addresses specific health concerns and helps you improve your overall health. If you’re interested in learning how integrated nutritional counseling can benefit you, book an appointment online or by phone with Dr. Pouya Shafipour in Santa Monica, California. Nutritional counseling is an integrated and comprehensive service that helps you know your diet includes the right balance of nutrients for optimal health. It can be especially helpful if you have a chronic condition or if you’re obese, overweight, or underweight. During a nutritional counseling appointment, Dr. Shafipour performs a physical exam to measure your vital statistics and determine your body mass index. He also asks you to provide a complete health history and describe your personal goals. 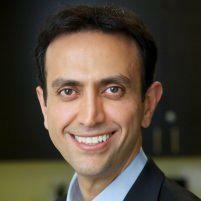 With that information, Dr. Shafipour works with you to determine what steps you can take to improve your diet. He educates you about the effects of nutrition specifically for your health and wellness needs so you can make smart, informed decisions about your eating habits. Everyone could benefit from knowing if their diet is balanced and targeted to optimal health, but some patients may find nutritional counseling especially beneficial. For example, you should take advantage of nutritional counseling if you’re struggling with weight loss or weight gain, or have a chronic condition. People with type 2 diabetes, for example, often find that nutritional counseling leads to improved overall health. The food you eat supplies your body with the building blocks necessary to maintain good health. Guidance from Dr. Shafipour, an experienced physician, will help you understand the connection between your diet and your health. Maintaining proper nutrition can be complicated. It involves balancing multiple components like vitamins, minerals, proteins, grains and fats, portion control, and managing triggers that can cause you to make unhealthy choices. Additionally, “good nutrition” for you may be entirely different for someone else. Nutritional counseling provides that extra support you need to feel confident you're making the best choices when it comes to providing your body with the balanced nutrition it needs for optimal health. If you’re interested in learning more about how nutritional counseling could improve your health, book an appointment with Dr. Shafipour. He’ll be happy to discuss your specific situation and answer your questions.